Description: Infused with Prunella Vulgaris Flower Essence this healing oil is ideal for mastitis, inflamed, and fibrocystic breast. Apply the wisely selected combination of precious oils and herbs to your breast while repeating and affirming positive words of love and renewal. 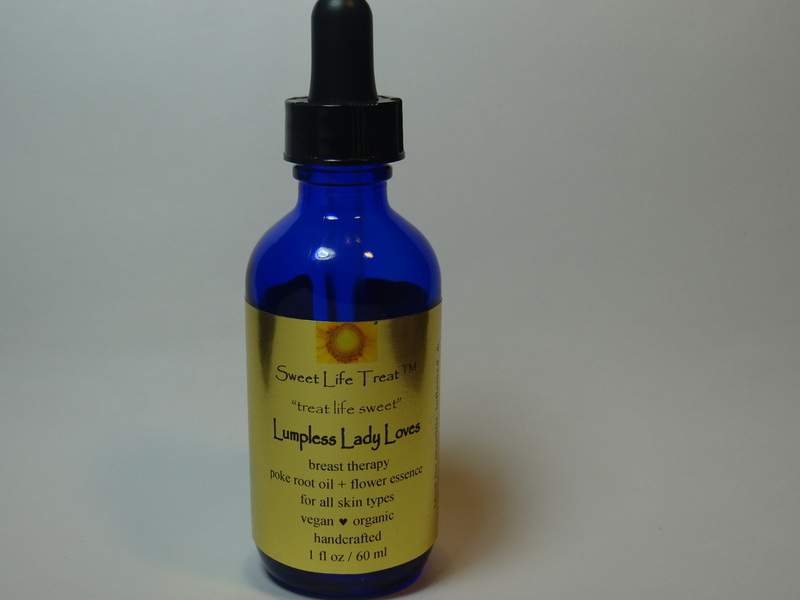 Lumpless Lady Loves can also be used in combination with your favorite breast healing pack to help restore your Lovely Lady Lumps to their healthiest and happiest state! Organic Ingredients: Poke Root Oil. Castor Oil. Extra Virgin Olive Oil. Sesame Seed Oil. Burdock Root. Calendula Flowers. Cinnamon Chips. Prunella Vulgaris Flower Essence.